Naples, FL (August 17, 2012) — Naples area real estate activity remains strong this summer, with an increase in pending sales, closed sales, and the median sales price. The figures represent the overall Naples housing market for the 12-month period ending July 2012. In addition, inventory continues to decline, according to a report released by the Naples Area Board of REALTORS® (NABOR), which tracks home listings and sales within Collier County (excluding Marco Island). The NABOR® July report provides annual comparisons of single-family home and condominium sales (via the SunshineMLS), price ranges, and geographic segmentation and includes an overall market summary. The overall median closed price increased nine percent, from $175,000 to $190,000, for the 12-month period ending July 2012. Overall pending sales increased 16 percent in the $500,000 to $1 million category, from 931 units to 1,078 units, for the 12-month period ending July 2012. Overall pending sales increased 12 percent in the $1 million to $2 million category, from 413 units to 462 units, for the 12-month period ending July 2012. Overall inventory decreased by 12 percent, from 7,010 in July 2011 compared to 6,188 in July 2012. Pending sales with contingent contracts are included in the overall inventory number. The average DOM (Days on the Market) increased slightly, by two percent, from 173 days on the market in July 2011 to 176 days on the market in July 2012. 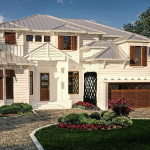 Overall pending sales in the Naples coastal area increased 11 percent from 1,747 units to 1,940 units, and closed sales increased 11 percent, from 1,541 units to 1,718 units, for the 12-month period ending July 2012.